Get a closer look at what goes on inside a beehive with local bee expert, Mike Allsopp. Find more info here. 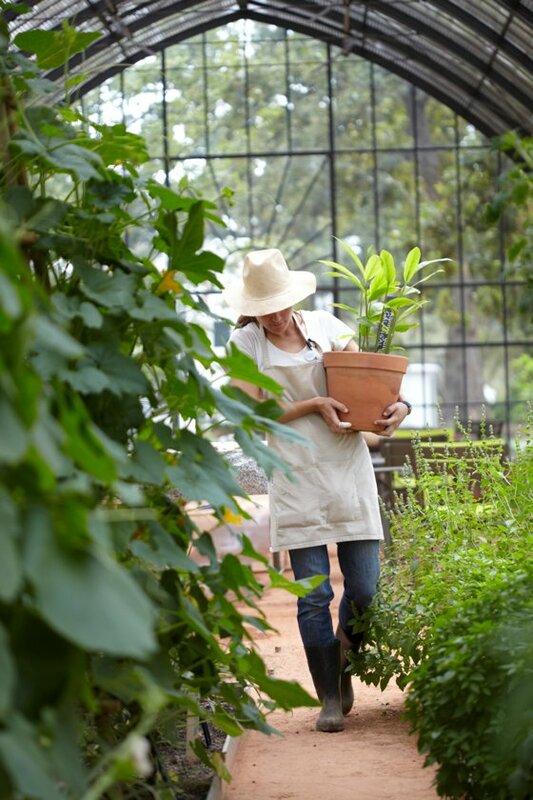 The garden team will show you how to make a whole range of herb potions to purify body, home and soul. Find more info here or have a peek at what we were up to last year. Spend the day with our head gardener, Gundula Deutschlander, gathering ingredients to concoct tantalising teas and tisanes. Also learn about the drying and preserving processes of tea. Find more info here. Organice producer, Tia Cusden, joins us all the way from England to share her wealth of knowledge about growing salad leaves. We also get practical, planting a box with summer salads for easy harvesting at home. Find more info here. Have you seen the crafty wooden structures in our garden? Head gardener at the beautiful Prieuré d’Orsan in France, Gilles Guillot, will demonstrate how to make them. You’ll also get the chance to try your hand at making your own garden structure to take home. Find more info here. Is there a cost for workshops and talks? Yes there’s a cost involved, depending on the talk or workshop you attend. You can simply click on the name of the talk or workshop to take you to a page with all the relevant information. Or you can email enquiries@babylonstoren.com or phone 021 863 3825.
please could i book a place for the herb workshop on thursday 16 october and then 2 places for the bee workshop on 22 October. Both workshops are now fully booked. We still have space available for the workshops in November, for seasonal salads, and December for building structures.